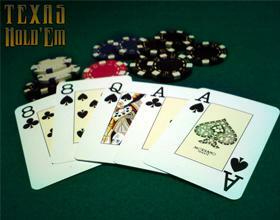 Which are simple poker strategies for the Texas Hold’em newbie? Thinking of playing poker, online or off? If you talk to anyone who has been playing for longer than a week, they’ll tell you how important poker strategy is. Going in blindly without knowing what you’re doing is a surefire way to lose all your money quickly. Seasoned poker pros employ all sorts of poker strategies to help them win. Unfortunately, if you’re new to the game, so many of those strategies involve complex mathematics and odds calculations. And you need to understand every scenario you’re getting into to the fullest before you can even comprehend how the strategies work. But before you fold your cards and step away from the table completely, pay attention to this. There are a number of poker strategies you can use, even if you’ve never played a day in your life. Here are the top three poker strategies every newbie poker player needs to know. The worst feeling for a new player is busting out of a tournament right away or getting smacked out of a cash table with no money left. If you’ve rarely played poker, that means you’ll be on the sidelines not gaining any experience. And it means that you won’t win hands and boost your ego as you play. That’s why it’s important to hold onto your cards as often as possible. Consider folding 99% of the hands you’re dealt. Unless you’re dealt a high pair or a suited connecter, throw them away if you’re not already committed through the blinds. If you’re the type of player who just calls raises, you’re going to get roped into hands and taken for a rid. Poker is about profiting from other people’s mistakes. So if someone raises you to get you out of a hand, don’t just call. Raise on top if you’re sitting with something solid. You could end up winning more. Or you could end up forcing your opponent out of the hand. You’re at a huge advantage if all the other players at the table have to act before you do. Instead of staring at your cards, trying to decide how to play, study everyone else. You’ll be surprised how much you learn by watching. Some players might roll up their sleeves when they’ve got a good hand. Others might scratch their nose to indicate they’re bluffing, all subconsciously of course. This information is huge, so use it to your advantage. At Palace of Chance, we offer video poker games. While they aren’t player-vs-player poker games, they offer you a great opportunity to practice your game before you play with others.